In the age of the McDram, where whisky is a booming business and distilleries churn out bottles – this question has never been more important: what are the effects of a particular environment – a few fields, no less – on the flavour profile of a whisky? The Islay Barley series is all about terroir. It’s about people, a region, an expression of – dare I say it – life. This is not my first Islay Barley. The whole series is a concept I admire greatly – pick a field or two, harvest the grain from just that field, and distill it. On its own. I’ve enjoyed the 2006 Dunlossit Farm, and 2004 Kentraw Farm. 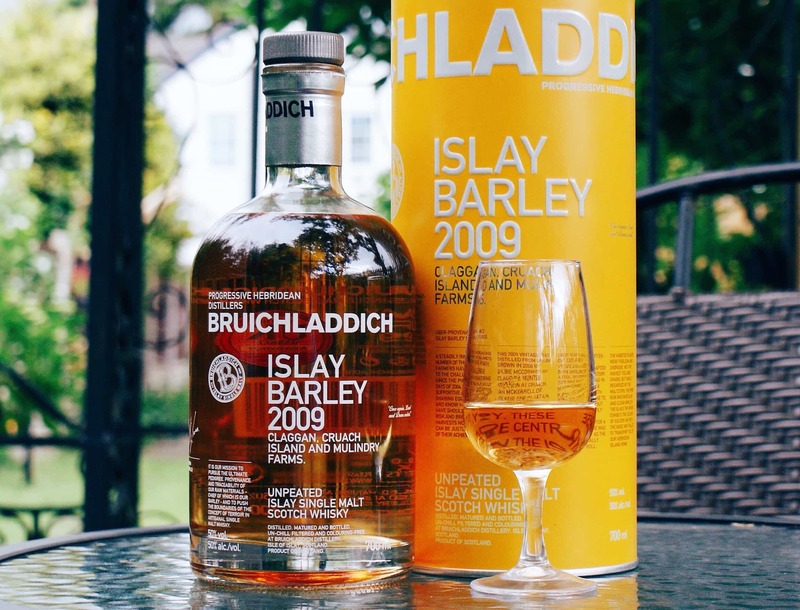 The Bruichladdich Islay Barley 2007 Rockside Farm was, according to the Laddie website: “grown for Bruichladdich in the Minister’s Field at Rockside Farm by Mark and Rohaise French”. Let’s get to it. Colour: pale, untreated oak. On the nose: very much like the 2006, and 2004, there’s a fresh, malty, zingy, citrusy start to this, but it settles down into a creamy and custard flavour (homemade, none of that shop-bought nonsense). In the mouth: one of the most complex young whiskies, this. Certainly a shade more complex than either the 2006 or 2004. Whereas the other two were somewhat more sweet and the bold barley blasts were dominant, this is a little more stately. The sweetness isn’t overwhelming, which leaves, for me, a bunch of very tightly packed flavours that just need time to pick apart. Vegetative. Oily, though not too thick. There’s a hint of some woody mustiness (a good thing) that I’ve picked up in one or two Japanese whiskies over the past year, which is fascinating. I like it. This is definitely the most introverted of the series, and it is one to dwell on. A social dram, perhaps, but equally good by the fire as you consider some curious aspect of a far-away Scottish island. To be honest, I’m not even sure an individual flavour description is really the point of these whiskies. Part of me wishes I kept onto the other Islay Barley whiskies so that I could do a comparison, for I guess that’s where the real deal is do be found. How does each of these locales vary? What do they each have to offer? All I can say is that you’ll get a unique slice of Islay and a thoughtful single malt whisky. 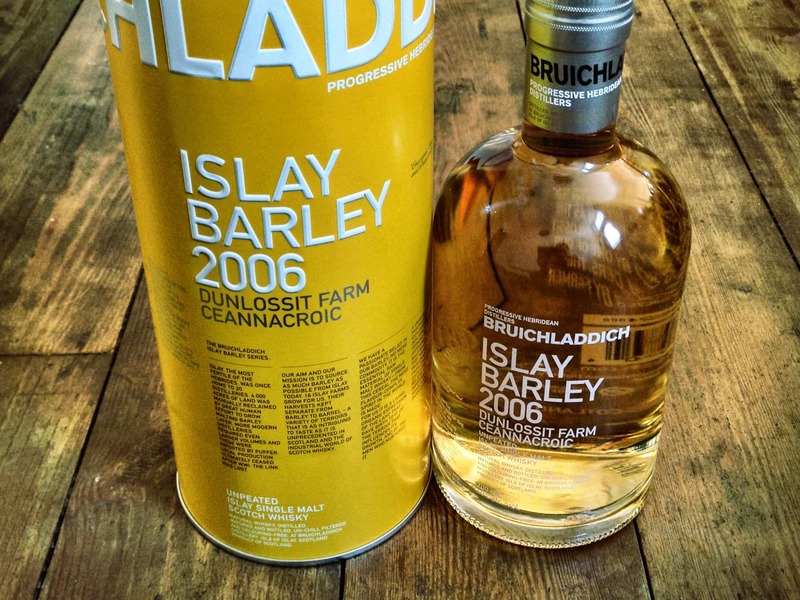 Bruichladdich Islay Barley 2007 Rockside Farm comes in at £45. That’s worth the money, if you ask me.